Bromo Tour Package 2 Day 1 Night - Let’s vacations To Bromo! 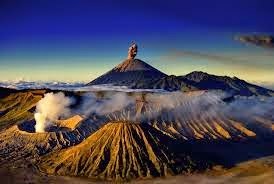 Mount Bromo is one of the favorite tourist places in Indonesia are much in demand by domestic and foreign tourists. 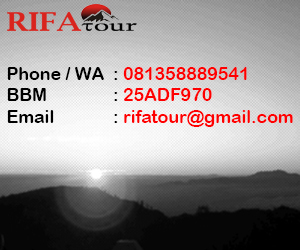 Rifa Tour and Travel is a tour agent that provide the tour package to Bromo with low prices, we also provide rental cars such as Avanza, Xenia, APV, Inova, Elf, Mini Bus, Bus to Tourism. Tour Packages that we can offer All Inclusive and could also simply transport, with rates that adjust with customers budget and what is included and not included. Bromo Tour package 2 days 1 night is perfect for tourists who come from far and need more rest. On the first day, our team will pick the tour participants at a pre-agreed, at Airport / Railway Station Surabaya / Malang. And will be directly delivered to the hotel in Bromo area to take a rest. - Pick up at the place and time specified and agreed upon. - Participants will be escorted to the hotel in Bromo to take a rest. - After Tour at Mount Bromo is completed, participants delivered back to the hotel for breakfast / morning meal. - Then participants could rest a while, after the completion of our team will take to get back to the station / airport in Surabaya / Malang, Tour Finish. For those who have not been written, you can ask us through the contact service. More information you can contact our service contacts.